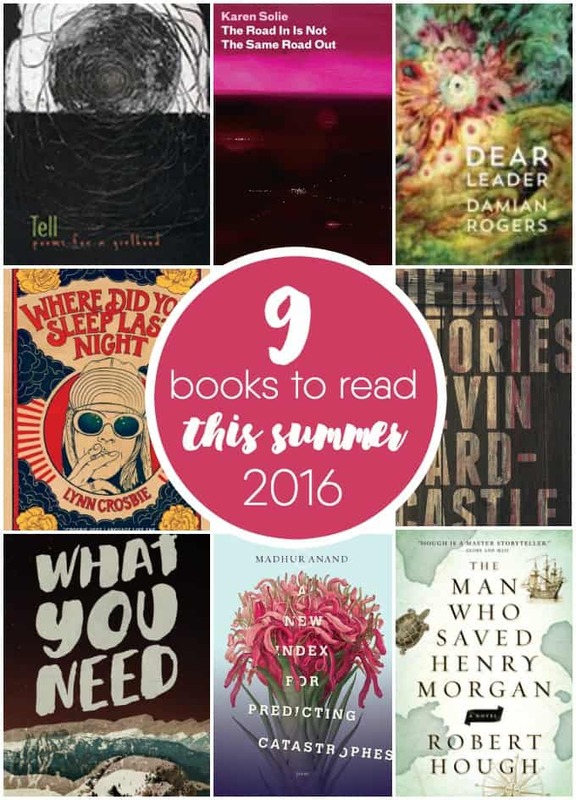 What books are on your summer reading list this year? I’ve started compiling my list. I practically inhale books when I’m on vacation. There’s nothing more relaxing than kicking back in the summer shade with a good book. My favourite spots to read are outdoors on the patio with a cold glass of iced tea by my side. Pure bliss. When I’m choosing what to read next, I always look for recommendations. It could be in the form of a friend passing along a recent read that they loved or an online review. Another spot I’m adding to my list for potential summer reads are the books shortlisted for the 2016 Trillium Book Award, the Ontario government’s prestigious award for literature, hosted by the Ontario Media Development Corporation (OMDC). Never heard of the Trillium Book Award before? Consider this post your introduction to a talented and creative group of Ontario authors. You probably recognize some of the previous winners. Does Alice Munro, Margaret Atwood and Michael Ondaatje ring a bell? Ontario has the largest book publishing industry in Canada with operating revenues of $1.23 billion. The Trillium Book Award recognizes the province’s talented authors by investing in their works. I plan to support local authors and read a few of the shortlisted titles for this year’s award. Add these Trillium Book Award finalists to your summer reading list. There are six English-language finalists, six French-language finalists, three finalists for Poetry in English language and three finalists for Poetry in French language. Who knows – you may discover your new favourite author! Buy these books at your local bookstore. The Trillium Book Award winners will be announced on June 22, 2016 at a dinner to be held in Toronto. Check out this short video with more info about the nominees. Which Trillium Book Award finalist are you looking forward to reading this summer? Connect with the OMDC on Twitter, Facebook and YouTube. Disclosure: This post is sponsored by the OMDC. All opinions expressed are my own. “What You Need” looks good! I am looking forward to reading What you need. A Token of My Affliction is the most interesting to me. 🙂 Have a great sunday everyone. The most interesting for me is Lynn Crosbie, Toronto, Where Did You Sleep Last Night, House of Anansi Press. I would love to read Where Did You Sleep Last Night by Lynn Crosbie! Where Did You Sleep Last Night would be the first book I crack open! What You Need by Andrew Forbes. I would love to read many but I would begin with “A Token of my Affliction”. I would love to read Where Did You Sleep Last Night by Lynn Crosbie first than work my way through them. Where did you sleep last night- my first choice! I’m really looking forward to reading The Man Who Saved Henry Morgan. Sound like a great summer read. I’m most excited to read A Token of My Affliction. I would love to read “Where Did You Sleep Last Night” first, They all appeal to me. I think Dear Leader is the book I am most interested in.